Following Tiger Beer’s continual efforts to elevate street food hawkers in Singapore, Tiger Beer will be holding a pop-up event for consumers to enjoy a wide range of local street food in the heart of the arts and heritage district. 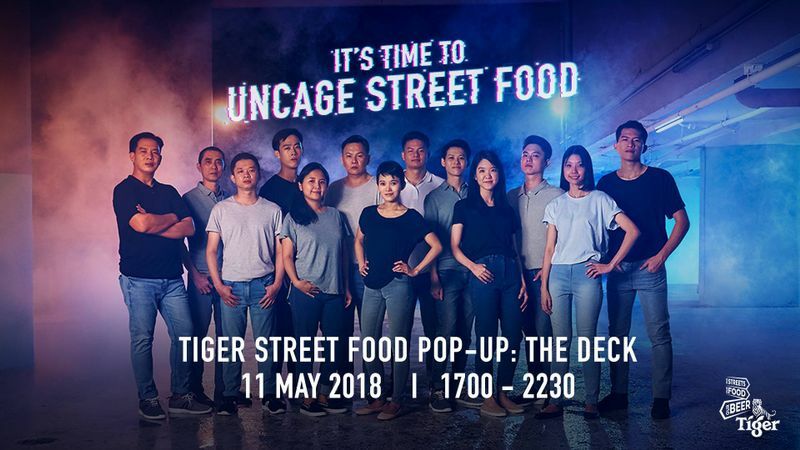 As part of Tiger Beer’s long-standing commitment to supporting our local hawker heroes, these Street Food events give the recipients of the Tiger Street Food Support Fund an opportunity to showcase their talent on a national stage. The public will get a chance to indulge in local favourite such as har cheong gai (prawn paste chicken wings), nasi lemak and salted egg yolk chicken pasta. These are just some of the crowd favourites you can expect at the Tiger Street Food Pop-up served up by recipients of the Tiger Street Food Support Fund.